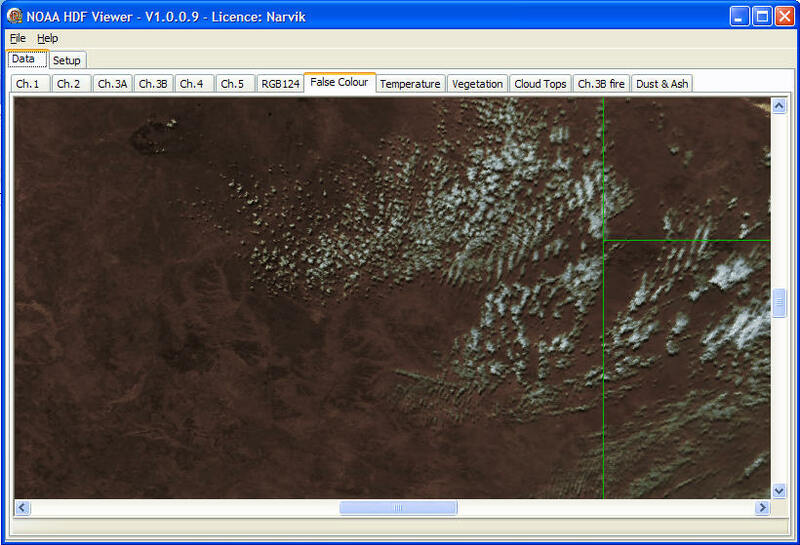 This page will contain information about the NOAA HD Viewer program, designed for AVHRR data from the from the Geoscience Australia service. and register the program here. This program is still in final development, and can be downloaded from the link below. Here's a hint of some of the raw and derived data available from the program. V1.0.4 Revise cloud-top colour palette, prevent error when no ODPS file is available.